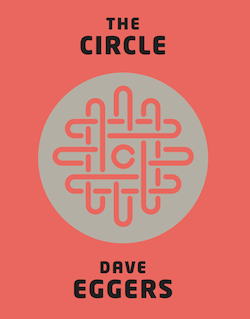 As technology encroaches into our lives more every day, it is not too hard to imagine the scenario Dave Eggers puts forth in this futuristic novel. The thought of complete transparency of each of our lives seems just a few steps away from the current social media exposure most of us have. This was a quick read, in spite of being just under 500 pages, and did hold my attention. The ideas proposed by the company known as The Circle were fascinating in that on the surface, they sound like good ideas. It is only after you think about all the implications that you realize the ideas might not be good. The suggestion of a complete democracy where every voice is heard on every issue is a good example. The idea sounds good, but one has to wonder about the ability of the majority to make an informed decision. Our forefathers thought this was not such a good idea, and I have to agree. While putting forth an interesting view of where technology can take us, the problem with this novel is that is was predictable. The story itself is simplistic and at times a little unbelievable. The next to last scene reminded me of the song by Roy Orbison, “Running Scared”. The main character, Mae, has to make a decision and the reader is not completely sure what she is going to do, “which one would it be?”. Is she going to turn around and do as she was asked or something else? But since I don’t want to spoil the end, I won’t answer that. This is worth the time to read it, and for that I give it three stars.